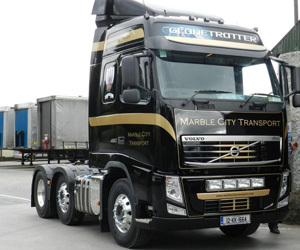 Marble City Transport Ltd. is a Kilkenny, Ireland based road haulage company specialising in freight transport and distribution of goods throughout Ireland, UK and Europe. 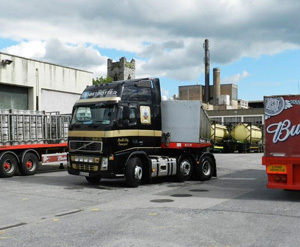 Established over 50 years ago in 1961 the company has gained a wealth of knowledge and experience in a competitive industry, and has as a result become one of Ireland’s leading road haulage service providers. At Marble City Transport we are proud to provide an efficient, safe and cost effective service to all our customers. With our highly skilled staff, modern fleet and experienced management team we aim to achieve the highest standards always, whatever the task.